Despite often working on historical fashion exhibitions, Maria Luisa Frisa is more interested in the present. An intellectual force in the Italian fashion system, Frisa has made a significant contribution to the practice of curation, fashion education and the way in which we understand Italian fashion. Address contributor Daniela Amolini interviewed Frisa. Daniela Amolini: How has the fashion industry changed from when you started your career? Maria Luisa Frisa: I don’t look back at history with rose-tinted spectacles. Over the past few decades, the fashion system has become more important globally. Now, big fashion brands open shops all around the world and with that some of the roles within fashion have changed. Designers are not just stylists anymore, but creative directors who resemble exhibition curators or football coaches. These creative directors have the burden to hold together the DNA of the company, lead the brand through the present into the future. Simultaneously, they have to have their own identity to contribute to the brand’s trademark. Before, fashion houses ceased to exist after the death of the founder, but now the business carries on and there is a need to maintain the brand’s aura, what we call heritage or storytelling; the necessity to affirm the present through the past myth. You hold a degree in contemporary art and have a background as an art critic. What attracted you to switch from art to fashion? I have always been interested in fashion but more from a personal perspective. I love personal styling. When I was young I liked to do research and experiment with different styles but I never thought of it as a job. In the beginning of the eighties, I studied Art History specialising in contemporary art. In fact, I was a militant art critic. 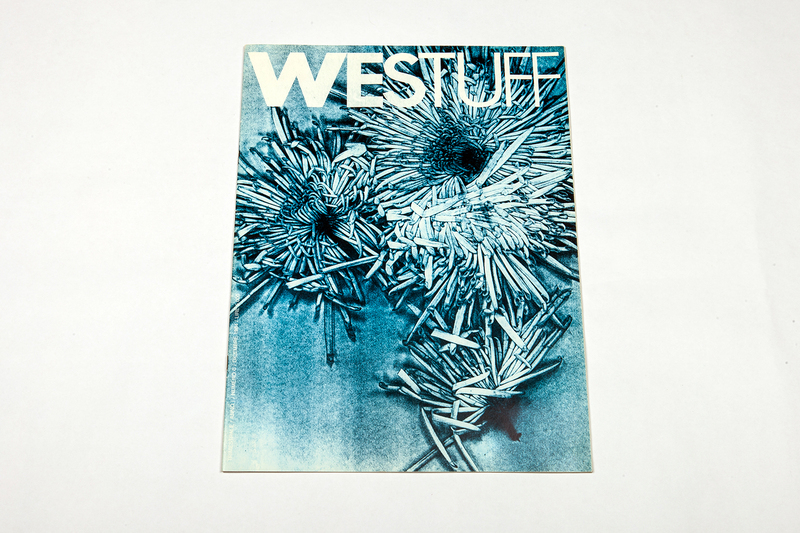 When I met Stefano Tonchi, we started an independent publication called West Stuff which was about art. After we stopped publishing West Stuff, I was employed by Giorgio Armani to be the Editor-in-Chief of the Emporio Armani magazine, which is when I transitioned from art to fashion. 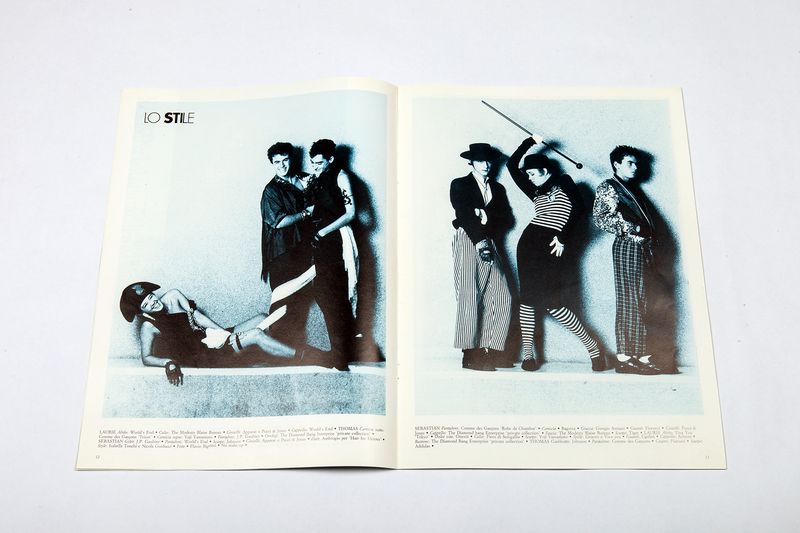 It was a revelation to me that fashion could be a platform to observe contemporary culture. It turned out to be very challenging for me to understand Armani’s fashion as I was interested in a completely different type of genre and style. However, the fashion system was still fairly accessible then. You could have easy access to the important people in fashion and although it was still business, it wasn’t quite the powerful economic and communication system that it is now. Do you mean that the fashion industry is more competitive now whereas before it was more collaborative? It is much more complex than that, especially when important authors and individuals have to establish their personal poetics, identities and work methods within the global market, I don’t think we can speak of ‘collaborations’. Italy has seen the affirmation of a set of creators who have revolutionised fashion on a global scale. The Italian concept of ‘stylist’ does not have anything to do with the word designer or stylist. In fact, Sonnet Stanfill, in her introduction to the V&A exhibition’s catalogue dedicated to Italian fashion [The Glamour of Italian Fashion 1945 – 2014], has left the word stilista in Italian. She says that this is because this word indicates a precise manner of work, specialising in high quality production series, blending together handcraft and industry skills under the figure of the stilista. Therefore, I am very critical when the ‘Made in Italy’ label is described just as handicraft work. ‘Made in Italy’ stands for so much more than that, it describes a whole industry targeting on a first-class production system. You approach fashion very holistically, as an editor, consultant, curator, critic as well as the course leader of the most prominent fashion course in Italy. How has this transdisciplinary approach to work shaped your career? I am extremely curious, but also insecure. When somebody asks me to do something that I have never done before, I always say yes. This way, I get the opportunity to challenge myself and see what I am capable of. When I was at university, I studied a bit of architecture alongside art history. This has helped me to put more focus into the architectonic dimensions of fashion. Fashion is a design discipline. Designing a dress is like building a structure. Therefore, studying architecture helped me focus also on the design dimension of fashion, to narrate the complexities behind fashion and this is what interests me. I am also interested in the relationship between fashion and art. The new design duo at the helm of Valentino [Maria Grazia Chiuri and Pier Paolo Piccioli] is a good example of this. By establishing collaborations with artists such as Giosetta Fioroni and others, they are blending fashion with art and thus developing a unique dialogue. With age, I have come to a better understanding of Italian fashion. People describe me as a fashion historian, because I have an extensive knowledge of fashion history and sometimes people mistakenly link the term of ‘the historian’ to a higher value. However, I am not a historian but a critic and a curator. I am interested in the past as it helps us value and understand the present. It was really interesting when curator Okwui Enwezor stated, during the opening celebration of the current Venice Biennale, that he was looking at the past through the filter of the present. I completely relate to this statement, in the sense that if you work with the present, it is inevitable that you also have to confront the past. How would you describe the state of fashion education in Italy? In the UK, fashion studies are more advanced. For instance this morning I was reading an article by Elisabeth Wilson, Caroline Evans and Judith Clarke offering very sophisticated reflections on fashion and sometimes I feel that Italy is lacking in that. I wish that the new generation would realise how fashion is not only a design discipline but also a culturally refined system that assimilates other systems and have the capacity to further our comprehension of society and culture on a higher level. The course that you direct promotes an artistic approach to fashion, how would you define the relationship between art and fashion? Pierre Bergé once said that “fashion is not art but the designers are artists”. The atelier, for instance, represents an extension of the creator. I have actually written an essay about this titled ‘The Form of the Atelier’ where I explore the relationship between artists’ and tailors’ ateliers. Today, art and fashion share the same creative processes. The existence of this is evident, not so much in the forms they manifest, but through the manners and the cognitive mechanism behind their construction. Thinking of the popular V&A exhibition Radical Fashion, designers Viktor & Rolf, Commes Des Garcons or Hussein Chalayan, all use practices, which are clearly inspired by artists’ practices. Authors like Juergen Teller, started as fashion photographers and then became artists. We also need to consider the power that fashion holds in shaping taste and promoting art and architecture. The ‘starchitect phenomenon’ was started by fashion when illustrious brands asked big architects to build their stores. The practice of architects simultaneously building museums and shops, have blurred the boundaries between those two, turning museums into the fashion shops and boutiques into museums. 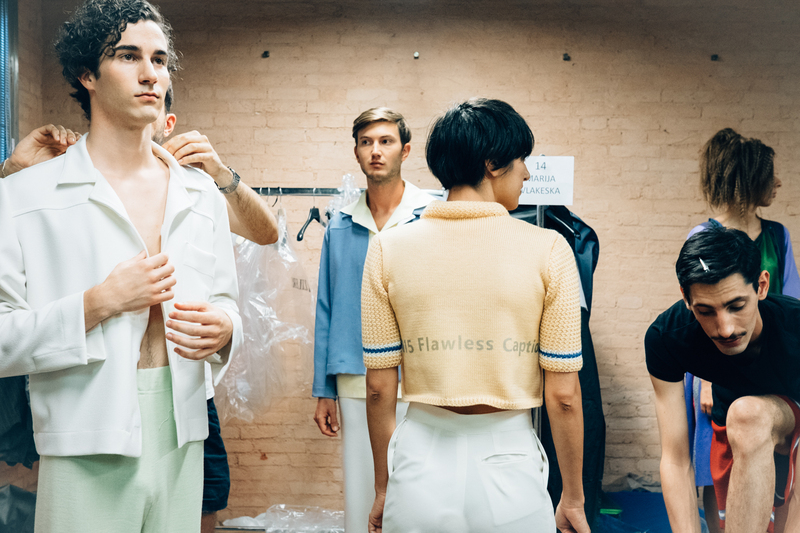 Moreover, when Prada puts personalities like Thomas de Monchaux, Mariko Mori and other artists in the first row of their catwalk presentations, it is influencing the taste of people. However, collaborations between artists and designers are nothing new. 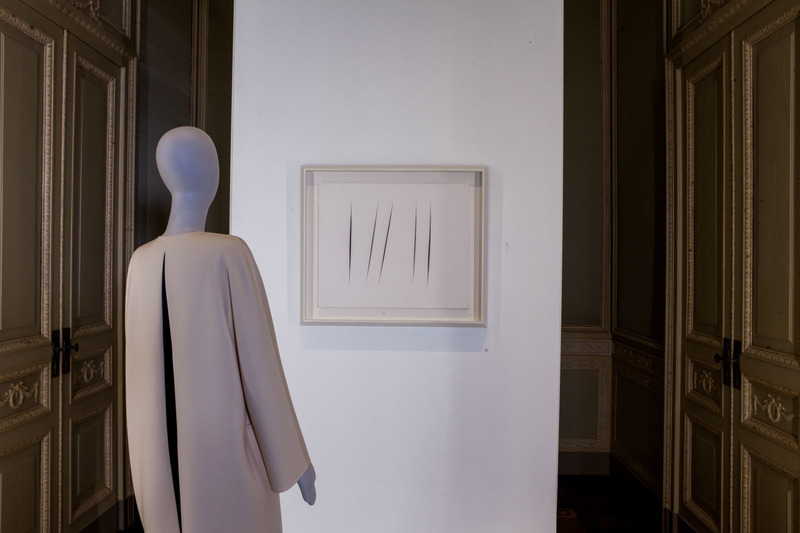 During the sixties, fashion designer Germana Marucelli asked artist Paolo Scheggi to design her atelier and this resembled an art gallery like the ones in America during that period. Fashion and art have always been curious about each other because they are both fascinated by beauty. 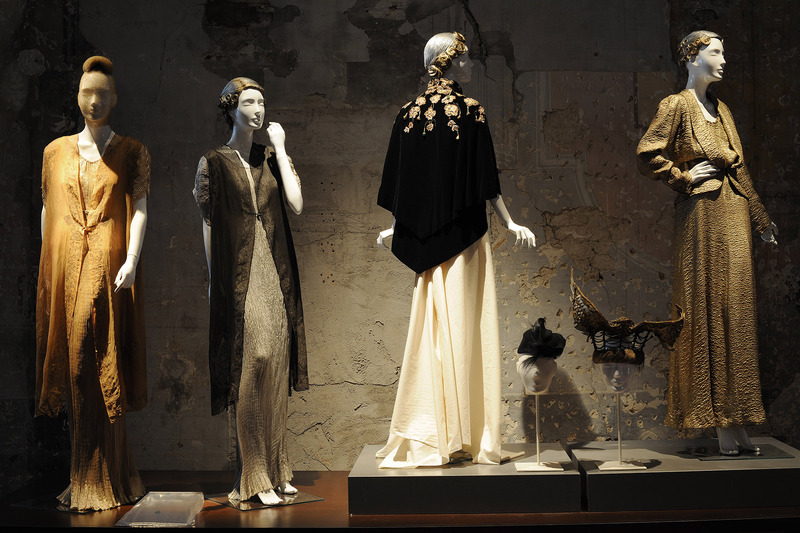 You have curated world-renowned exhibitions such as Diane Vreeland after Diane Vreeland in Venice and Bellissima in Rome. What interest you when visiting an exhibition? What I am curious about is how clothes have been displayed. This aspect is crucial. People think that doing a fashion exhibition is just about dressing up mannequins. It is much more complex than that, and even more difficult to do than installing an art show. You have to find the mannequins that are right, not only for the type of exhibition you are curating but also for the dresses you decide to display. Also, the clothing selection is a key. Garments have to be selected according to your vision for the show and the narrative you want to stage, be it inspired from a period or an author. Bellissima, for instance, was an exhibition through which I was interested in transmitting how Italian high fashion was the starting point of the great Italian pret-a-porter. Hence in the exhibition, there is a great selection of outfits devoted to the daytime, and this selection was very close to contemporary tastes. Also the selection of the mannequins and the shape of the platform they were standing on, which was in a racetrack shape, all connected to the type of message I was keen to transmit. I have realised that to dress up a mannequin you need time. I am always present during the setting up stages, from the very beginning to the end. I believe that a dress needs to be brought back to life again, otherwise there is a risk that it will just resemble a piece of cloth. Sometimes there is a beautiful dress that you have chosen but then once it is on the mannequin it looks like a rag. I mean, you can choose ten dresses to put on display but this does not mean that you can showcase them all. I prefer to have less dresses on display but they all look stunning and are of a good quality. I am also extremely interested in the research behind an exhibition and how the clothes have been displayed. However, I don’t usually say what I really think because by curating exhibitions, personal observations can come across as critiques of other curators work. Are there any changes that you would like to see taking place in the fashion industry? 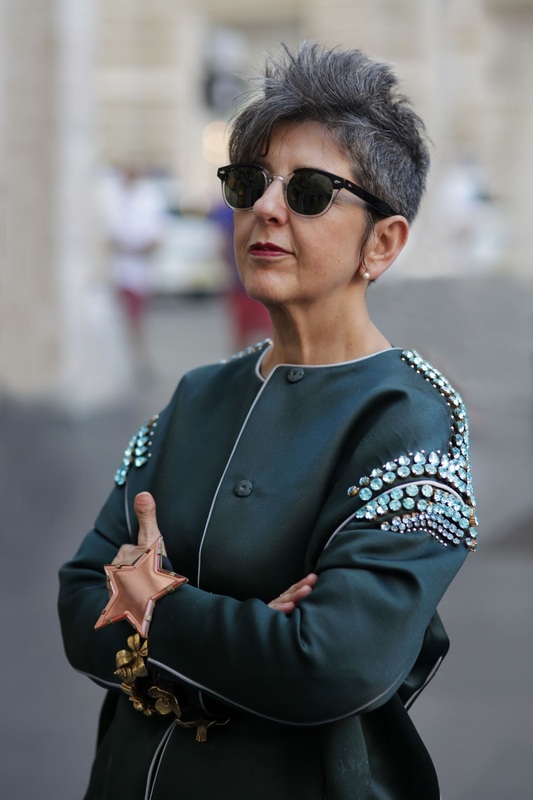 Speaking of Italian fashion, which is the one that I know and I care for the most, I believe that a lot is now being done to improve the Italian fashion system. On a political level, the vice-minister for the economic development Carlo Calenda is executing this work. On a public level, I wish for a reform to improve the training of creative talent. The main problem is that fashion is not thought of as a university subject in Italy. In other countries, like in the UK, there is an extraordinary scholarly system in place dedicated to the nurturing of talent. In Italy, instead, everything still is very confusing. People don’t understand the difference between private and public schools. The only Italian fashion PhD that allows you to have access to public placements is here in Venice. I believe that improving education would automatically help Italian fashion because training sets the foundations of everything. Ten years ago I was asked to be the founder of the fashion and design degree here in Venice, but at that time I was doing totally opposite things and never thought of being a professor. When I entered into my academic profession, I realised that a university is a space where your brain never stops thinking. You are obliged to put yourself to test everyday and this is a beautiful exercise. Finally, concerning the culture industry, I believe that we should work on building a space that validates fashion; not a historical museum but a comprehensive gallery that celebrates Italian fashion. I also believe that this place already exists and is the Galleria del Costume in Firenze. I think we should start from there. It is easy to say, “oh abroad Olivier Saillard does this and that”, but Olivier Saillard is backed up by a really important museum structure. Without these types of structures we are at risk of becoming just a big producer and not a big creator. How do you refresh yourself after finishing a project? I usually rest, even if just for a day to reinvigorate my tired body. Anyway, my focal activity is to think about projects. Every time I finish a project, I look back and start to think how I could have done it differently. This is natural because this is the stage when you will have done all the research relating to the project and additional ideas will have arisen as part of completing the project. The people who work with me are frightened of the moment during a project when I usually say “do you know what, I had an idea!”. This results in a look of terror. I really enjoy the physical dimension of the job; I like to make things happen, the building of things. For me this is the most charming and exciting part of the job. I have never been much of a student, but becoming old I have found a different stimulus in studying. I don’t do archiving, I don’t keep anything, I don’t take notes, I am very messy, I have no memories of my past works and I prefer to leave it this way. If someone is busy keeping track of the past, it means that they are not building anything in the present. Daniela blends together theoretic frameworks and practices through challenging visuals. Collaborating with artists and established practitioners her expertise span from contents and exhibitions curation to organisation of events. A keen eye for the contemporary art and fashion scene, Daniela writes for publications such as Neromagazine.it, Artribune, Vogue and Frizzifrizzi.it.